CALIFORNIA -- The owners of a Moorpark animal sanctuary were arrested Wednesday for allegedly allowing a 352-pound Siberian tiger to escape and prowl suburban neighborhoods for four weeks while denying the cat was theirs. 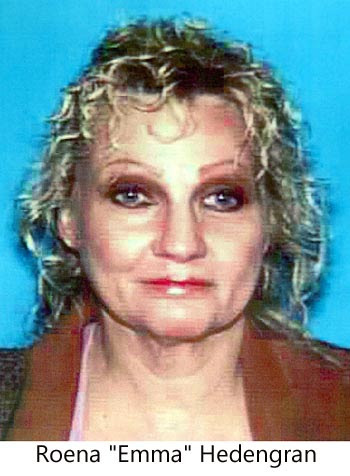 Gert "Abby" Hedengran, 56, and his wife, Roena "Emma" Hedengran, 52, were taken from their rented ranch in Moorpark about 10 a.m. Wednesday and transported in a government van to U.S. District Court in Los Angeles. Abby Hedengran was charged with making false statements to federal officials, submitting false records, destroying evidence in a federal investigation, obstructing justice, witness tampering, and violating the federal Animal Welfare Act. Emma Hedengran was charged with obstructing justice and witness tampering. The couple were expected to be released on $25,000 bail each, but Assistant U.S. Atty. Joseph Johns said he planned to ask for a psychiatric evaluation of Emma Hedengran because she is suspected of attempting to shoot her husband Feb. 17 during an argument at their home. The Hedengrans, who were rousted from bed early Wednesday by agents serving a search warrant, had not yet hired an attorney and were not available for comment. Authorities also were looking into the possibility the tiger had spooked two horses the morning of Feb. 12 in the Santa Rosa Valley. According to police records, the horses broke through the rail of their corral and ran onto Santa Rosa Road, where a passing car hit one of the horses. The male driver bled to death before he could be extricated. Meanwhile, another car hit the wreckage, causing her vehicle to roll over. The female driver of that car was hospitalized. Officials from the state Department of Fish and Game said detectives are investigating whether the tiger played a role in the accidents, but said they have not made a direct link yet. The Hedengrans' arrests brought an end to a month-long investigation as state and federal authorities tried to determine who owned the tiger and how it escaped. The tiger was fatally shot Feb. 23 when it was found roaming near a school in Moorpark. During the probe, the Hedengrans repeatedly denied owning the escaped tiger, saying their 5-year-old male, named Tuffy, had died. 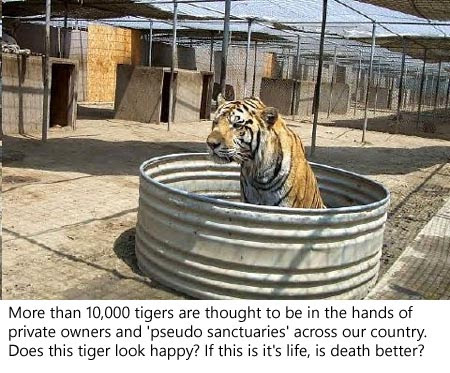 "Abby said that the male tiger had died 1-1/2 to two years before because someone from [People for the Ethical Treatment of Animals] had poisoned it," U.S. Department of Agriculture Special Agent Manny Flores wrote in the affidavit. The Hedengrans, however, could not produce records or police reports related to the tiger's death, and former neighbors told authorities they had seen Tuffy as recently as January, according to the criminal complaint filed against Abby Hedengran. The Hedengrans originally held a permit to keep their animals in Temecula but failed to notify federal and state authorities when they moved to Moorpark in January, said Mike Wintemute, a spokesman for Fish and Game. Authorities did not learn of the couple's move until Jan. 31 when an escaped lynx was found 1/8 of a mile away from the couple's property on a neighbor's front porch. Fish and Game wardens tranquilized the lynx and took it to a state-run animal-holding center. Authorities believe Tuffy had escaped at the same time the lynx did because tiger tracks were photographed Jan. 31 near California 23 near Simi Valley by researchers on a mountain lion tracking project. 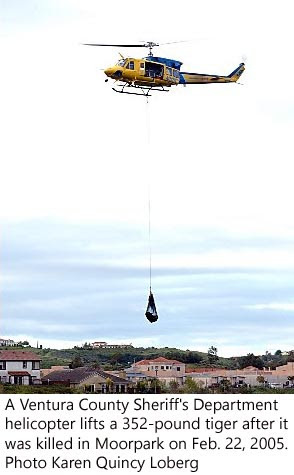 About three days after the lynx was trapped, Abby Hedengran showed up to claim the 90-pound cat, which triggered an inspection of the property he and his wife rented in Moorpark, Wintemute said. 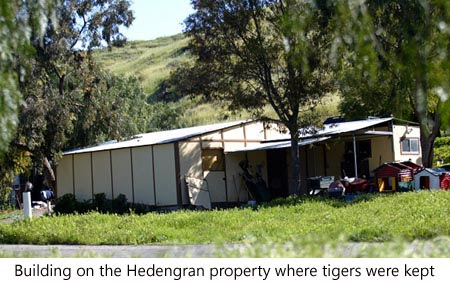 Authorities found three lions, two tigers, a snow leopard and 16 smaller cats, including bobcats and lynx, in a barn or running free inside the Hedengrans' mobile home. The animals were not in permanent cages, as required by law, nor was the ramshackle barn structure up to code, Wintemute said. Authorities gave the couple 72 hours to find homes for the cats, which were transferred to various sites in California and Nevada. Most of the larger animals were sent to a sanctuary in Las Vegas. On Feb. 15, a caretaker at Day Creek Ranch in Moorpark reported seeing a "large cat" darting into the brush and called local animal control, which alerted state officials. The next day, Fish and Game investigators found tiger tracks just east of California 23 near the Ronald Reagan Presidential Library near Simi Valley. 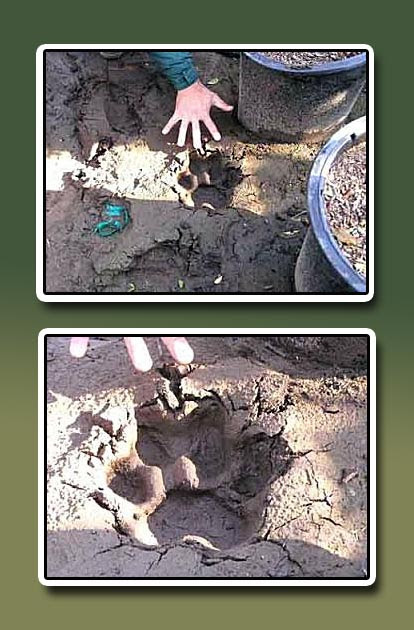 Tracks also were found west of the highway and at a nursery in the neighboring Santa Rosa Valley. 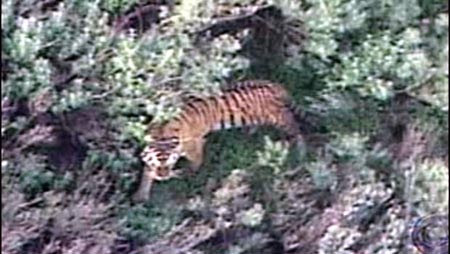 Finally, on Feb. 23, the tiger was spotted by Moorpark residents who woke up to find the tiger pacing in their backyard. Trackers from the U.S. Department of Agriculture shot the tiger dead in a steep ravine near a housing development and a city park, causing an uproar among animal rights activists. Investigators said they linked the Hedengrans to the tiger by comparing pictures and videos seized from the couple with the dead cat. PENNSYLVANIA -- People move to Partlow in southern Spotsylvania County for the five- and 10-acre plots, the quiet and the woods. But the woods looked menacing to many residents yesterday, a day after a pack of pit bulls charged from the trees and mauled an 82-year-old woman and her dog to death. Sheriff Howard Smith said animal control workers killed two of the three dogs and have captured the third. But Dorothy Sullivan's neighbors on Oak Crest Drive, where mobile homes are permanently anchored at the ends of long driveways, said they were afraid to venture out. 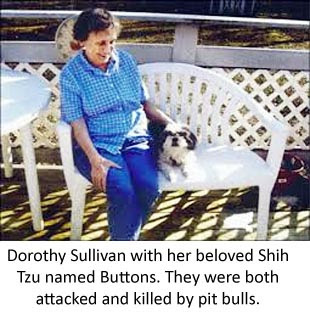 Sullivan was attacked on her property Tuesday afternoon as she walked her dog, a Shih Tzu named Buttons. In the last year, her neighbors said, roaming pit bulls have attacked and killed neighborhood dogs and cats, broken down wooden gates and snarled at children. "I won't go outside anymore," said Mary Adkins, 73, who lives across from Sullivan's gravel driveway, which was blocked yesterday by yellow police tape. "My husband thought he might be attacked, but he has some guns, and he'd use them if he had to." At a news conference yesterday afternoon, Smith said the owner of the one of the dogs has been identified, though he would not give the owner's name. He said that it was unclear whether any of the dogs were registered with the county and that none was wearing a tag. Smith said officers responded to a 911 call about 2:15 p.m. from Sullivan's daughter, who had gone to check on her and "found her lying outside with three vicious dogs described as pit bulls surrounding her." He said the dogs then chased the daughter, who ran to her mother's home to call police. Sullivan's daughter lives down the street, and dozens of cars came to her home during the day. A man who identified himself as the daughter's husband said family members did not want to talk, but the family did provide a photograph of a smiling Sullivan sitting on a sunny porch with Buttons. Smith confirmed that animal control officers had been called to the area several times in recent months because of roaming pit bulls -- including Tuesday, before Sullivan's death was reported. But they were never able to find the dogs, he said. William Tydings, director of animal control for the half-suburban, half-rural county, did not return phone calls to his office. Smith said it is illegal for dogs to run loose in Spotsylvania, but he said it is too soon to know whether anyone will be charged. He said the investigation will be reviewed by the county prosecutor. Longtime residents said wild dogs are less common now than when Partlow was built about 40 years ago. "People thought of this area as farmland, and people thought dogs should run free," said Terry Moore, 68, who operates an electronics contracting business on a 10-acre lot that he has bordered with tall bamboo. But the problem has grown worse in the last year, he said, noting that pit bulls killed two of his kittens. He was outside yesterday with a hammer to inspect huge holes in a fence -- put there, his partner said, by dogs. "My wife followed the dogs home" last fall when the kittens were killed, he said, "and the woman said they just wouldn't stay in their pens." He said that pit bulls are bred to fight and that they should not be kept as pets. But another resident, Amy Carpenter, 27, who has four pit bulls and three small children, said the problem lies not with the breed but with how they are raised and trained. 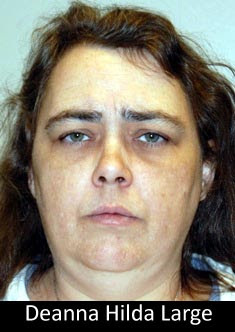 She described neighborhood disputes about dogs, including one incident in which a resident accused another of stealing a pit bull and retaliated by killing that person's pit bull. "I moved back home to this neighborhood because it was safe," she said. "It never used to be like this." Deanna Large is the owner of the pit bulls. 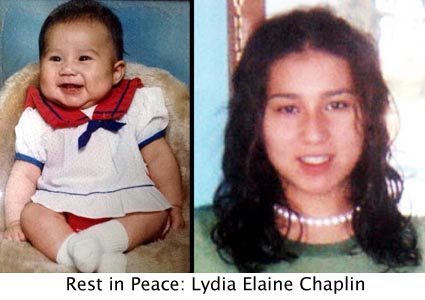 Illinois: Arthur Dersham's loose dogs mauled Lydia Chaplin, 14, to death. His punishment? Nothing. ILLINOIS -- A Whiteside County grand jury has ruled a rural Erie man will not face possible charges of involuntary manslaughter and reckless conduct for the dog mauling and death of a 14-year-old neighbor girl. The grand jury returned no indictments Thursday against Arthur Dersham, 25, of rural Erie related to the death of Erie High School freshman Lydia Chaplin, who was mauled by Dersham's four dogs on a rural roadway before she died of hypothermia Jan. 27. Instead, the panel returned a multi-count indictment charging Dersham with nine counts of possession of a firearm without the requisite firearm owner's identification card. Sheriff's officials said a warrant was issued for his arrest. He was expected to turn himself in, but had not done so Friday night. The firearms were discovered during the investigation, but did not play a role in Lydia's death. Each count in the indictment is a Class 4 felony, which carries a possible punishment of up to three years in prison. The charges rejected by the grand jury "both require an individual who committed those offenses to have acted recklessly' and to have consciously disregarded a substantial risk that the circumstances would result in what happened," Whiteside County State's Attorney Gary Spencer said in a news release about the decision. "During the sheriff's investigation of this offense, some neighbors had reported incidents involving Dersham's dogs," Spencer said. "None claimed to have reported the incidents to either the owner or the authorities." 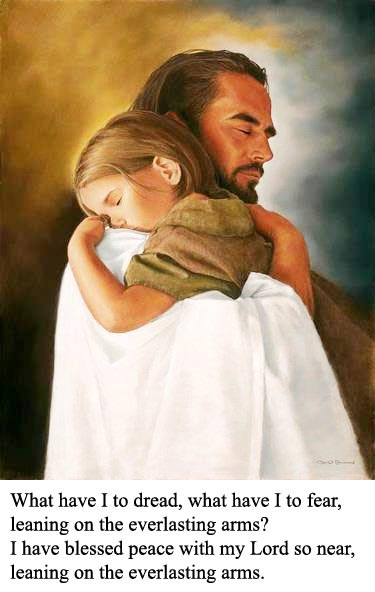 The girl's mother and stepfather, Becky and Tony Lopez, and her father, Hung Vo, could not be reached Friday by the QUAD-CITY TIMES for comment. The state's attorney and Whiteside County Sheriff Roger "Skip" Schipper said they plan to work with state legislators to push for stronger animal-control laws, which would provide criminal penalties for owners of animals that attack without provocation. Authorities said the current law wasn't applicable to prosecute Dersham. The Illinois Animal Control Act provides felony penalties for the owner of a dog that has been previously declared dangerous or vicious, but that does not apply in this case. 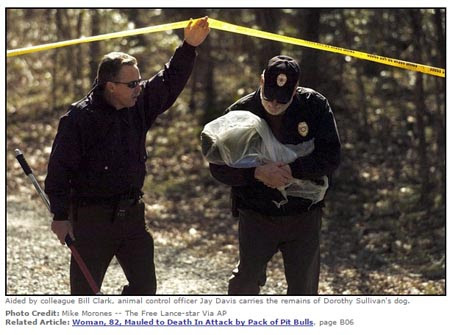 Dersham's three pit bulls and one mixed-breed dog involved in Lydia's mauling were deemed vicious after the attack. The dogs, seized shortly after Lydia's death, recently were euthanized by the Whiteside County Animal Control Department. Newton Township in rural Whiteside County, where the dogs were running loose when the mauling happened, has a leash law. With no prior complaints about the dogs running at large, Dersham never was warned about keeping his animals under control. The ordinance violation is a civil offense that would be prosecuted by the township attorney. Illinois Rep. Jerry Mitchell, R-Rock Falls, introduced a bill soon after the girl's death called "Lydia's Law," which would have given local authorities the power to ban certain breeds of dogs from their jurisdictions. The bill failed in House committee. Rep. Mike Boland, D-East Moline, is writing a new proposal for legislation that would "focus on these irresponsible owners that let dogs, like those that killed Lydia, run loose," he said. The bill, which Boland expects to introduce during the fall legislative veto session, is modeled after animal-control laws in Arizona and Washington. It calls for $100,000 to $150,000 fines against the owners of animals involved in a wrongful death due to a vicious attack. If someone is hospitalized after an animal attack, the owner would be fined $10,000, under the proposal. "Unless people complain first, then a lot of times it's very hard to prosecute or take other measures," Boland said. "My bill would actually make it on the first offense." Boland also is co-sponsoring a House bill called "Anna's Bill," which calls for the state to help pay for the neutering and spaying of stray animals and those that belong to low-income owners. "What we found in research is that when they're not spayed or neutered, that helps to make them more vicious," he said. CALIFORNIA -- A dog owner has been convicted of felony animal cruelty for fatally beating his pet after she chewed up a blanket, city officials said Thursday. Thomas Uhlenkott, 49, of North Hollywood pleaded no contest Wednesday to animal cruelty, said Karen Knipscheer, captain at the East Valley Animal Shelter. Uhlenkott has undergone anger management classes and counseling, according to Knipscheer, and will be sentenced April 14. In another case, officials said they impounded 127 animals Tuesday from a home in the 10900 block of Foothills Avenue in Lake View Terrace, where they also found 35 dead animals stuffed into a freezer. An investigation is ongoing, and criminal charges may soon be filed, officials said.